Well to live with Meniere’s disease is to live in a semi constant state of fear and uncertainty. You don’t know when an attack of vertigo will happen. You will always over analyze all the things you have to do in a day to look for possible triggers. And you’ll being doing this because no one wants a random person laying down in the middle of an aisle in the grocery store. Grocery stores can definitely turn into overly colourful rollercoasters if you aren’t careful. Even when you are home you have to be careful you don’t want to stand up too fast or you’ll fall over. Can’t eat very much salt because that’s also a trigger. Can’t have caffeine either. Welcome to a world full of bland food, water and juice. And you always have to make sure you don’t forget your rescue medication at home. 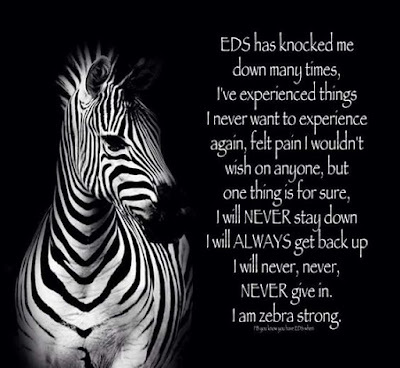 As for living with EDS it’s really difficult. You have to weigh the pros and cons of doing something or lifting a heavy object. I generally ask myself is it really worth lifting that heavy box by myself? Sometimes it is and other times I have no other choice because it could be raining or snowing. There are times that I’ve picked something up and my shoulder or collarbone dislocates almost immediately. And when you have EDS it kind of feels like you become a doctor without the medical degree because obviously someone with frequent dislocations isn’t going to the hospital all the time. Eventually you will have the ability to relocate most of your common dislocations. 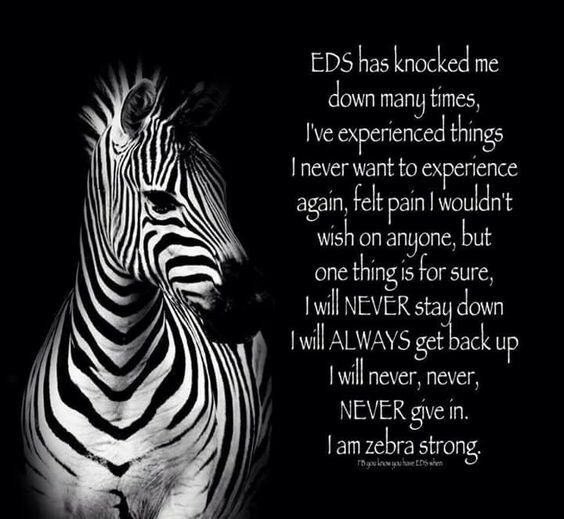 And generally if you have EDS you will have a brace for every body part. Like for example I have my thumb silver ring splints, thumb immobilizers, finger immobilizers, knee braces, wrist braces and ankle air casts. Also having EDS means you get tired fast if you don’t plan your day and wear the correct braces that you’ll need. Such as if you were going to be walking a lot but not holding anything you would wear knee/ankle braces and not wear wrist braces. But you will always be in pain no matter what you do because braces only help so much. I’ve read other EDS-er blogs about people that have gone and saw a pain specialists. But I don’t think I’m ready for that yet.